Atlanta is so hot this time of year, and nothing is much hotter than “The Freeze”, a man in an uncomfortably tight leotard who uses his blazing speed to embarrass challengers in between innings. However, “The Freeze” isn’t the hottest thing within the Braves’ new SunTrust Park. That label belongs to its short-term first baseman, Matt Adams. Adams was acquired from the St. Louis Cardinals on May 20th, just two days after their All-Star first baseman Freddie Freeman had his left wrist broken after being hit by a pitch. 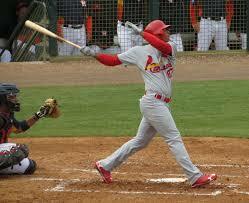 Since landing in the “A-T-L”, Adams has a .948 OPS with eight homers and 21 RBI in 24 games and 106 plate appearances. “Big City” had become pretty useless in St. Louis, as the club decided to move Matt Carpenter to first base, with Jedd Gyorko, Aledmys Diaz, and Kolten Wong bringing “stability” to the rest of the infield. With Diaz in the midst of a sophomore slump and Wong dealing with injuries after his own bouts of ineffectiveness over the last two seasons, the Cardinals aren’t the same, competitive club as they seem to annually be. Still, they felt that Adams wouldn’t cut it in the outfield, even after his whopping 34 inning test-run in five starts there this season, taking a 19-year-old first base prospect in return to rid themselves of the 6’3″ slugger, even as the club rosters the likes of Tommy Pham, Chad Huffman, and Jose Martinez as options in left field today. St. Louis’ focus on defense in left field has been the Braves’ offensive gain, and the Braves would be wise to continue to reap the benefits of Matt Adams when Freeman returns in July. The Braves are in an interesting situation. Yes, they have the new stadium. Yes, they have an interesting blend of talent on their roster; however, they are in the midst of a rebuild, despite the presence of Matt Kemp, R.A. Dickey, and Bartolo Colon on their roster. Dealing Matt Adams at the deadline, or whenever Freeman returns, would benefit the club tremendously, as several teams could be interested in the slugger for their own playoff push. Atlanta sits 10 games out of first place entering play today. Adams may be of value to a team like, say, the Yankees, whose first basemen have hit just .195/.298/.345 with eight home runs and 23 RBI all season (see Adams’ stats again since joining Atlanta!). Another team that could make some noise, if everyone gets healthy, would be Seattle, who could use an upgrade over Danny Valencia, who is the main culprit in the Mariners’ first basemen hitting just .244/.300/.368 with just six homers all season. With an already crowded outfield and the likes of Ronald Acuna and Dustin Peterson racing their way to Atlanta and through the minors, the Braves should only consider Adams as a tradeable asset and not a piece of their future. If he continues to produce, his price tag only increases, but the club shouldn’t alter their current roster by trying to hold on to another solid first baseman…unless Major League Baseball suddenly adds the DH to the National League. Below is a list of the top 100 prospects in MLB, as compiled by a non-scout. With spring training starting up, what better time to begin prospecting for your fantasy teams than right now. 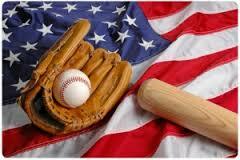 Click on the links below to view each player’s Baseball Reference page. Brief writeups for top 25 only. Enjoy, comment, and share…share a lot! 1. Andrew Benintendi, OF, BOS: Added muscle to an already incredibly talented skill-set could lead to immediate stardom in 2017. 2. Alex Reyes, RHP, STL: Suspensions are behind him. 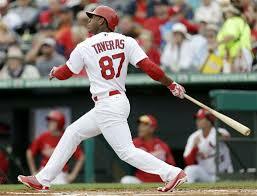 It won’t be long until he’s 1b behind Carlos Martinez. 3. Lucas Giolito, RHP, CHW: Remember the elbow issues and the babying. He’ll get a grasp on location and he’ll take off. 4. Yoan Moncada, 2B, CHW: Freak athlete. The numbers from a 2B will make fantasy players drool. 5. J.P. Crawford, SS, PHI: Don’t expect Jimmy Rollins in his game. He’ll begin to impress as soon as he gets his first shot due to a solid approach and all-around game. 6. Dansby Swanson, SS, ATL: Atlanta will be better in their new stadium. Swanson will be one of the reasons why. Getting him for Shelby Miller will be the Braves’ version of the Jeff Bagwell deal. 7. Rafael Devers, 3B, BOS: Power potential for days. He’s going to be special. 8. Gleyber Torres, SS, NYY: The power is coming. 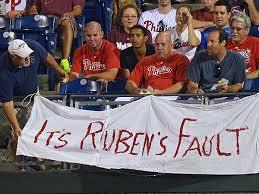 At 19 in A+, he had 11 HR and 29 doubles. It’s a race to SS between Torres and Mateo in NY. 9. Brendan Rodgers, SS, COL: There is a lot more swing and miss in his game than Troy Tulowitzki’s, but he’ll be compared to him his entire career – and for good reason. 10. Tyler Glasnow, RHP, PIT: The control can still be an issue, but Glasnow has the right pitching coach to make him an elite arm. 11. Victor Robles, OF, WAS: A gifted athlete with a crazy contact rate (especially for a 19-year-old in A+), he’ll utilize the entire field and be a threat on the bases. 12. Cody Bellinger, 1B/OF, LAD: He has nowhere to play until Adrian Gonzalez leaves after the 2018 season, but he’s nearly ready. Maybe they’ll make room for him in the OF. 13. Austin Meadows, OF, PIT: All of the McCutcheon rumors will lead to a lot of focus on Meadows. He won’t be a star but can do a lot of things well. 14. Bradley Zimmer, OF, CLE: The strikeouts are a huge concern but Zimmer is a unique talent and brings a skill-set that will improve an already impressive roster in Cleveland. 15. Nick Senzel, 3B, CIN: Think of Ryan Zimmerman when you think of how quickly a player can reach the majors here. He could also produce at the same level…hopefully without the injuries. 16. Anderson Espinoza, RHP, SD: There are still a lot of things that can go wrong (he doesn’t turn 19 until March), but there are so many things that are already intriguing here. 17. Lewis Brinson, OF, MIL: Making contact consistently is a concern, but, when he does, Brinson is capable of superstardom in Milwaukee. 18. Eloy Jimenez, OF, CHC: 40 doubles at 19 in the midwest league. He’s going to turn those into HR in 2017 and he’ll be a top 5 prospect in 2018. 19. Manuel Margot, OF, SD: His numbers won’t pop and he may never lead the league in any statistic, but Margot is a smooth baseball player. He can do it all. 20. Josh Bell, 1B/OF, PIT: He never showed the power potential he was supposed to have in the minors, but he’s still a work in progress – one with an approach beyond his years. 21. Clint Frazier, OF, NYY: The hair may be what many know him for right now. The ability will make others wish that they had curly red hair. 22. Kyle Tucker, OF, HOU: As this guy grows into his 6’4″ frame, he’s going to be a monster. He had 41 XBH and 32 SB while reading A+ at 19 in 2016. 23. Michael Kopech, RHP, CHW: He throws really hard and he’s on a team that is going to give him an opportunity sooner than later. If for no other reason than these, he’s an intriguing prospect. He’s also very good. 24. Willy Adames, SS, TB: He’ll make the David Price trade look silly at some point when he debuts in 2017. He is extremely talented and will quickly become one of the Rays’ top players. 25. Francis Martes, RHP, HOU: Strikeouts jumped a bit (as did the walks) in AA last year, a wonderful sign for a 20-year-old. 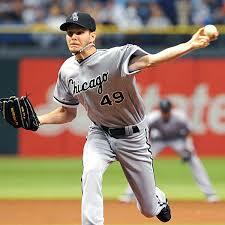 He throws extremely hard and is capable of becoming a frontline starter. After a breakout 2013, Carpenter slipped a little in 2014, watching his OPS fall from .873 to .750, aided by the drop in his BABIP from .359 to .318. Carpenter was still quite valuable, leading the NL in walks, which helped his on-base percentage get to .375, and he was able to score 99 runs. With a lot of improving talent around him, the 29-year-old Carpenter is ready to get back to the production levels of 2013, scoring 110 or more runs and 40 or more doubles. Can Heyward get back on track using the “Cardinal Way”? Heyward is entering his age-25 season and he already has five full seasons under his belt. He’s set to become a free agent after the 2015 season, and a huge season would lead to a huge contract. He hasn’t had a very consistent career, as his most productive overall season was his rookie year, 2010. He can provide well above-average defense, but at 6’5″, 245 pounds, you’d expect more than 11 home runs, last season’s career-low total. 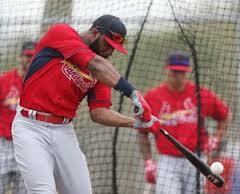 Maybe the Cardinals can rework his swing and get some of the power back, allowing Heyward to get back to his natural, beautiful swing that made him such a force earlier in his career. There’s a lot of money riding on Heyward’s ability to do more with his bat; however, in the current market, he’ll still get nine figures. Offseason Overview: The Cardinals got Heyward and RHP Jordan Walden from the Braves for a couple of young arms, RHP Tyrell Jenkins and RHP Shelby Miller. While the deal hurt the Cardinals rotation depth, they needed to replace the potential production in right field after the tragic loss of Oscar Taveras. Although they’ll have Heyward for just one season, he has the potential to be the best player the Cardinals have had since Albert Pujols‘ heyday. Still, with Michael Wacha, Jaime Garcia, John Lackey, and Adam Wainwright having injury issues in the past, it’s fair to wonder if dealing pitching was worth the potential lack of rotation depth. 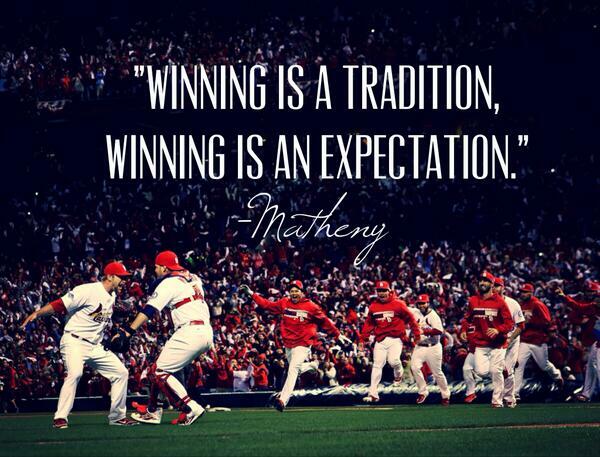 The Cardinals will continue to trust their “way”, though, so the next man up will be expected to produce. There wasn’t much action this winter in St. Louis, unless someone really wants to hear about the Mark Reynolds, Carlos Villanueva, and Matt Belisle signings. The Verdict: Well, it’s another season and the Cardinals are still the favorites – at least based on PECOTA. You’ll likely see big seasons from Heyward, Carpenter, first baseman Matt Adams, and second baseman Kolten Wong, who is going to breakout worse than a 13-year-old boy who sips Mountain Dew all day. The Cardinals success will lie in the health of the pitching staff. They have Marco Gonzales lined up as their No. 6 starter and Garcia, if his shoulder stays connected, but Wainwright and Lackey have a lot of innings on their reconstructed elbows, and they need to see consistency out of Carlos Martinez to stay competitive. The Cubs are improved and the Pirates should be the favorites for the division. The Cardinals will win more than 85 games, but this could be the first seasons they miss the playoffs since 2010 – unless things go right, which they usually do.